Imagine how much time and money you'd save if you could view PCL files instead of being forced to print them? Here at CoolUtils we have been developing file converters for over 12 years. So we already have a technology to process PCL files in Total CAD Converter. So we wanted to share it and released a free PCL Viewer for our users to view and organize PCL files with ease. View PCL files as thumbnails (adjust the size) or file list with details. Organize PCL files: copy, move, sort by name/date or rename them in one click. 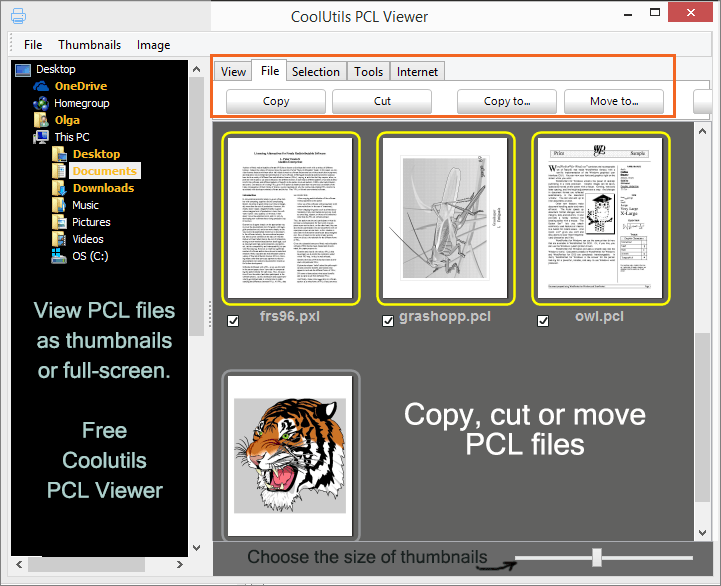 Share PCL files by sending them as email attachments right from the Coolutils PCL Viewer. Most PCL viewers cost a fortune. Not at Coolutils. We are well-known experts in all kinds of file conversions. So we release a free PCL viewer for home users based on our existing technology. 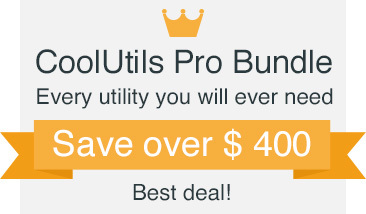 No paid upgrades, no built-in toolbars, and no need for expensive, proprietary tools. View PCL files as tiles or full-screen at no cost. Get your full free copy right now! Commercial use.
" I kind of like the layout, but the conversion leaves something to be desired. Viewing a PCL file, it'd be nice if there was a sort of area zoom where I can drag and select an area and it'll zoom for me. Some sort of grid might be nice too for detailed work at the dot level (selectable like 300dpi, 600dpi, etc." "Excellent. I convert documents and although I don't use PCL much when I do I need a good viewer, and this is it! Images etc all come out perfectly. And it's free!"